See What Our Customers Have To Say About Pauma Valley Insurance. PVI is hands down the best in the insurance industry. They provide top notch service and it's delivered with the highest level of customer service by their knowledgeable and friendly employees. What makes them even more unique is their support and involvement in the local community. If you're in the market for any kind of insurance needs, give PVI a call. They will not disappoint!" Your agent Maricruz did an excellent job. Saved me a lot of money on my insurance while protecting my car and my home and me. Highly recommend her. Thank you." You're the best. You really went above and beyond the call of duty, in acting as the intermediary between myself and my mortgage company in trying to ensure that this was coming out of the escrow account. And then you were able to find out they didn't handle that (incorrect information that THEY supplied), and got back to me amazingly fast. Typical interactions I've had with people, this would have been a process that took days. With you, everything took under an hour. Thank you for everything you did. The customer care you provided was off-the-charts, and has definitely inspired loyalty and trust from my family and myself. Thank you for making the whole process painless, you're the best." and one I really appreciate. Some referrals don't pan out. This was a good referral. He is on it customer service wise......plus he got us great rates so he's got all our insurance. So just wanted to thank you.....and thank Brandon!" The agent Justina Ossana, Commercial Department Manager of Pauma/Valley Insurance Agency, Inc. was the main reason for helping us decide on The Hartford, by selecting the right plan with a reasonable price & walk us step by step through the process resulting in an easy and painless decision to make. If this level of support and reasonable premium cost continues, we will continue to be a long time customer with Justina's exceptional support & guidance." Dear Brandon, Thank you for such a decent newsletter. Usually newsletters of this kind are thinly veiled self-promotions with little actual information of relevance and interest. But not this issue! Whoever put it together did a really good job balancing your articles and it was light and funny and very well-done. Thank you and thank your good writers on staff. Mahalo"
Thank you again. I am forever impressed with the level of service you provide. “I love my insurance broker. I’ve never said that before. Now I say it all the time. :) "
I am always impressed by the professionalism, care and concern I am given each time I stop in. Good job team!" This place is awesome! It can be hard to get great service AND low prices at the same time - this place nails em both. Brooke has always made things very convenient for me, and finds the best deal available. I highly recommend." Simply the best! Everyone there is courteous and professional. 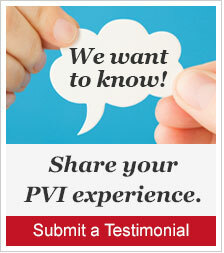 I use PVI for my own auto and home insurance and have recommended my clients from all over California." Brandon and his staff at Pauma/Valley Insurance have always come through for my real estate loan clients. Brandon is prompt, detail oriented and has your best interests in mind." Brandon is an honest and hard-working business person that brings great value to his customers and the companies he does business with." Brandon has gone above and beyond to help cover the insurance needs for me and my family. We recently purchased a new home and Brandon was able to provide a detailed insurance plan in less than 24-hours and help meet and exceed the requirements needed by our lender. Brandon and his team make the insurance process very easy and really care about their clients. Rates are affordable and the service is exceptional. Great team. I have worked with Carmen and Brooke and they are always very helpful and courteous." My family and I have been going to PVI for YEARS! It started out with car insurance, then home, then insuring our personal belongings to a policy for our business. You name it, they insure it! Its really nice to have 1 go to place for everything and have a welcoming environment for all my questions! Everyone is super helpful and friendly. We will be a customer for years to come. " The folks that work at PVI are very helpful,knowledgeable and friendly. I would recommend them to anyone looking to purchase insurance in the Valley Center community." PVI is amazing and I wouldn't do my business anywhere else! Brandon is always going above and beyond. Their entire staff is extremely friendly and professional." I have been working with Brooke Dunn and she is amazing! Every time I have a question or a request Brooke responds within minutes! Pauma is super service focused and I feel that they truly care about me as a customer. Always friendly, knowledgeable and a true pleasure dealing with. 5 stars all the way!" Thank you so much, you are a rock star in customer service! Have a great weekend." Thanks so much for your excellent customer service and quick response, I love it! " THANK YOU SOOOO MUCH!!! HAVE A BEAUTIFUL DAY! We stay with you all because you always, always, always do an amazing job for us and truly care!" Thank you again for all the help you and the office have provided over the term of the policies. PVI has gone above and beyond and while my policy was basic, I could not have been more appreciative for all the patience you showed me and for all you guys did. Wish you covered DC! Cheers!" Just wanted to send a note to say thank you for all the help today. Going through you I have saved $360.00 a year on my auto insurance for the same coverage. I look forward to speaking with you about bundling my other policies to see what else I can save. I hope you have a great day and thank you once again. Best Regards"
Thanks for taking care of all of my insurance needs. You were constantly on top of it, making sure I received the best bang for my buck. It takes insurance agents like yourself to help keep the insurance rates as low as possible and also keep the necessary coverage. Great job!" Brooke, thank you for your help with this. I really appreciate your responsive action on our behalf." Thanks for all your help! It was the best decision we made, regarding insurance, in switching to your company!" Thanks so much for all your help with my insurance Brandon! You are the best :) "
I just wanted to take a moment to thank you for helping me yesterday with my insurance question -- and, in fact, thank you for the last 20+ years that you have taken care of me and my family with any and all insurance questions or problems we have had, including questions when we were raising our three sons and their insurance needs. You are so quick and thorough with anything I need and I fell very comfortable that with your experience and time in the business I can trust your answers and suggestion and I fell you are always looking out for my best interest as well. As you know , I have referred other people to you for their insurance needs and they are all very happy to have you as their agent. Thanks again for everything Linda." You are awesome! Thanks for the quick reply and easing my nerves." Brooke – I am back to work and just want to say “Thank you” for all your help with this insurance policy." I am very satisfied with the service I received. All your employees I've met are wonderful. 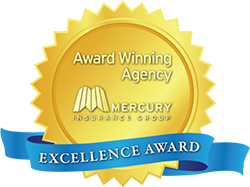 I recommend your company"
You guys are the best insurance providers around!!!" Thanks for all your efforts and information that keeps me safe! I appreciate all your help and prompt responses with questions and service." On behalf of the Veterans Supplemental Support Network (VSSN), Temecula Vet Center, North Area Community Development (NACD), and VA Loma Linda I would like to personally thank you and Pauma/Temecula Valley Insurance Agency, Inc. for your recent contribution to the 2010 Sweat-A-Thon. This event could not have been a success without the help of you. Thank you for committing your time and resources in honor of the blood, sweat and tears of our service members both present and past and their families. Once again, the VSSN & Temecula Veterans Center thank you for your efforts and we hope to see you Dec 12, 2010 at our Salute to Heroes Military and Veterans Dinner!" Brandon Strausbaugh has been my car insurance rep for over three years now and during that time he has been beyond helpful to me! He answers my emails in a timely manor, even on the weekend, and is willing to pickup the phone and talk to me about any of my questions! I am so grateful to have someone who takes such good care of me and my insurance! I would highly recommend Brandon to anyone!" Andrea Teas, Office Manager, Toward Maximum Independence. So whose insurance agent meets with them on a Sunday? Oh wait-mine does :) thank you Brandon for ALWAYS being such a great agent. You have been such an amazing help to my husband and I, we are so glad that we can combine insurance now as a family :) If anyone is looking for a new insurance agent, one who will take care of you, and one where you actually can deal with real people.. Call Pauma Valley Insurance! We will be doing business with them for YEARS!" Brandon was a big help in locating what worked for me. He went out of his way to get the best results available. Brandon's Top qualities: Personable, Good Value, High Integrity"
Brandon is a great guy to work with. Very professional." I have done business with PVI Insurance for many years. This is where I met Brandon Strausbaugh. Brandon is quit knowledgeable about all types of Insurance, from Auto, Home Business, or any type of Liability Insurance you may need. You will find Brandon a pleasure to do business with." I have worked with the insurance agency distribution channel for 25 years and have seen a lot of changes with regard to the quality of agency personnel. Brandon Strausbaugh is a breath of fresh air as I have had the opportunity to partner with him for the past few years. He takes his profession serious and continues his education in insurance; making him an asset to both his colleagues and clients. Brandon is active in his community and within insurance associations and the youngest board member to sit on major insurance association that I know of. I would recommend Brandon as both a business partner and insurance broker." Brandon is one of the most enthusiastic, well rounded and honest individuals I have the pleasure of knowing. Would love to have Brandon on my team any day." Brandon is a very aggressive and focused individual. He also delivers a high quality of service and professional caring for his clientele." Love working with Brandon! Appreciate doing business with him!" Brandon and I have worked together for over 1 year now. In that time, he has impressed me as a diligent and trustworthy agent." Michael Cotsenmoyer, Specialty Personal & Commercial Insurance Representative-Marketing Representative, AINS, JE Brown & Associates. I have known and worked with Brandon for several years and consider him both a colleague and friend. I have always been very impressed with the service and professionalism he brings to any situation. In the ever changing Insurance world Brandon has both the product expertise and innovative approach to marketing and sales needed to maintain customers and grow his business. I would highly recommend Brandon as an insurance broker and business partner." Matt Hetrick, Southern CA Territory Manager, Arrowhead General Insurance Agency. Brandon is a professional insurance agent. Active within the insurance industry and his community. Always positive, helpful and friendly."